Dates of the festival are subject to final confirmation but we are looking at 12th - 14th September. We did not want to release these dates until today's very productive meeting with representatives of Scarborough Council, Yorkshire Tourist Board, North Yorkshire Police and the Harbour Board. There appears to have been some confusion over recent weeks with a proposed new event; Whitby Tortuga Festival, which has been promoted on FB before this meeting. 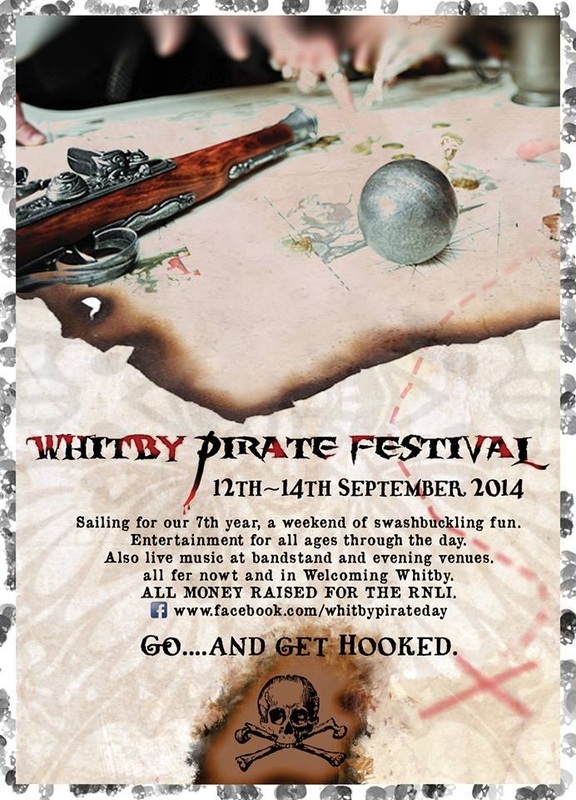 We, of Whips and Whitby Pirate Festival, have had no involvement with this. We look forward to seeing you and will keep you informed of progress on this and our other events!